Ringo dreams of circus rings, and in them Nina, Ned and Nelson headline the show. Nina complements her speed with grace and elegance. Ned slaps everything that gets in his way and Grandpa Nelson loves to solve puzzles. 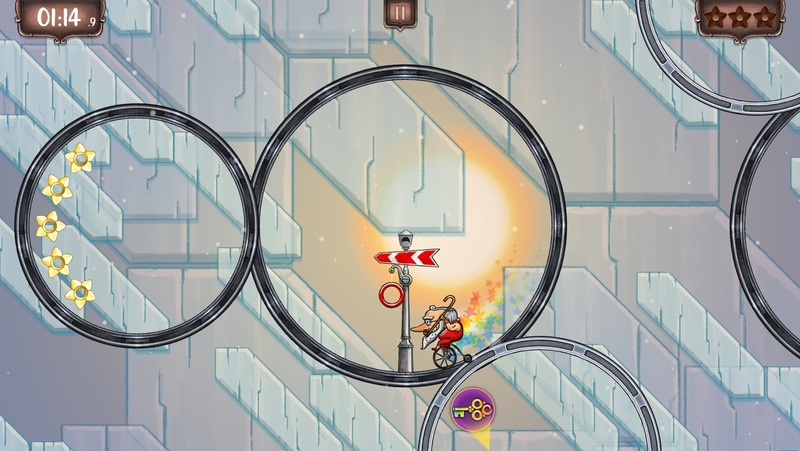 In this dream world of connected rings, Ring Run Circus turns the traditional puzzle game around by encouraging you to use both wits and skill. If you love the challenge of a platformer, you're going to love playing the world's first ring-former. 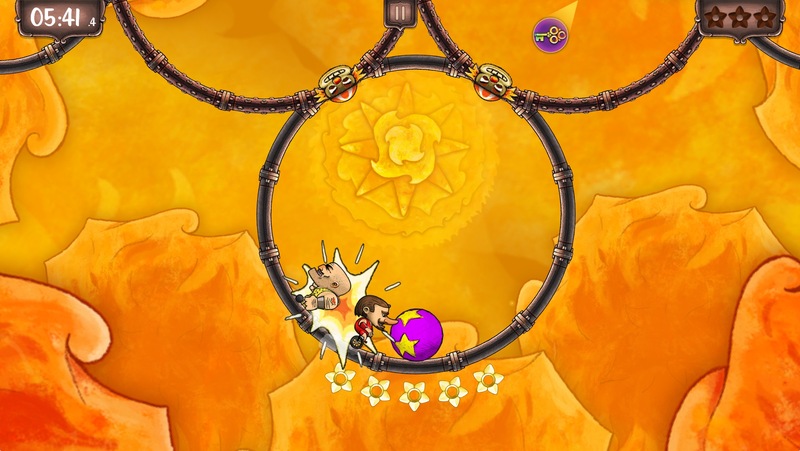 Ring Run Circus was born in early 2010, while working on concepts for Kokoromi's Gamma 4 showcase. 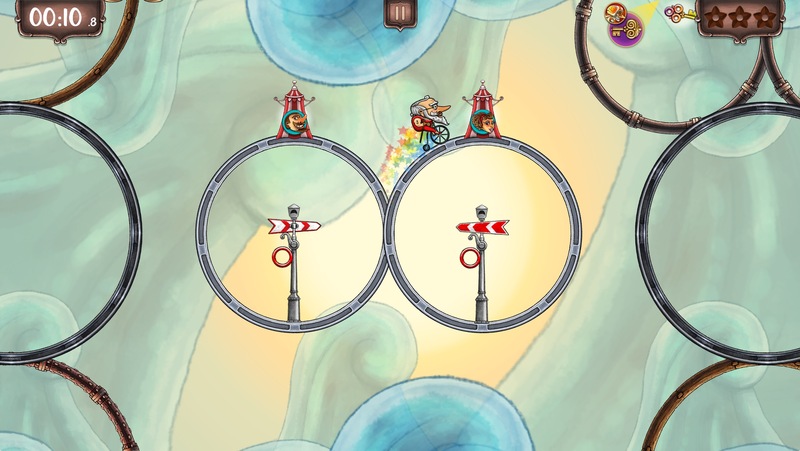 In less than a month, we discovered a mechanic that was fun and strong enough to build a full game around it. Once we were sold into the idea that the game could actually work, we brought our artist, Juanma, in and started working on a more ambitious game. It took us nearly two years to understand the language proposed by the mechanic and start building interesting and challenging levels. The long version of this story can be found in our blog (check the additional links section below). In March 2013 we showed the game to the press for the first time at GDC. It was very well received and many journalists wrote about it (check the selected articles section below). Today it's basically polish, polish, spit and repeat, as we're shooting for a fall 2013 release. 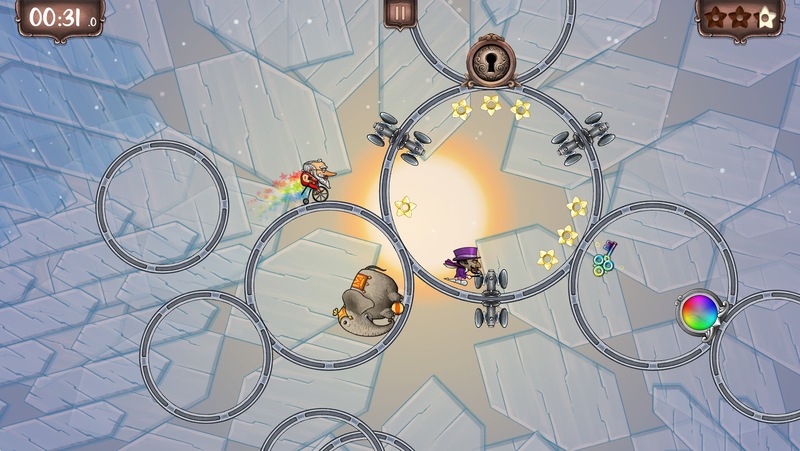 A RING-FORMER: Keep moving as the platforms are rings where it's too fast to stop, too risky to turn around and your only option is to keep moving and let the show go on. 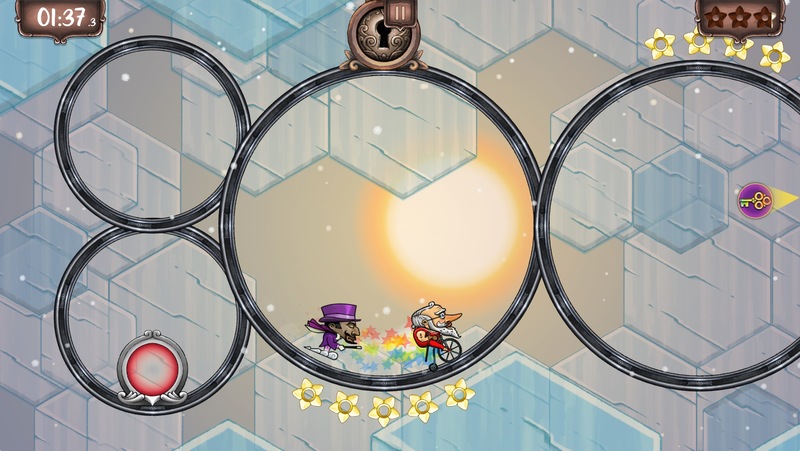 SKILL MEETS PUZZLES: Master the characters while traveling in the circus train through forests, volcanos, frozen mountains and down by the sea through 50-plus puzzling levels. 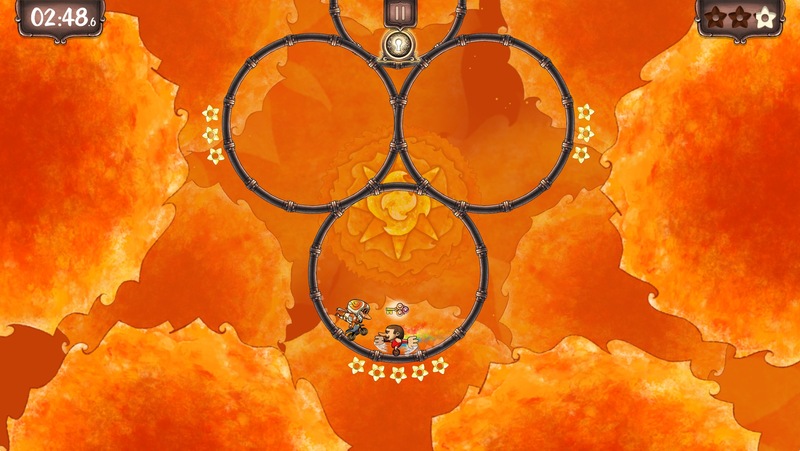 THREE FUN ACROBATS: Play with Nina, Ned and Nelson, who each possess unique abilities, which combined with your wits, make them the stars of the show. 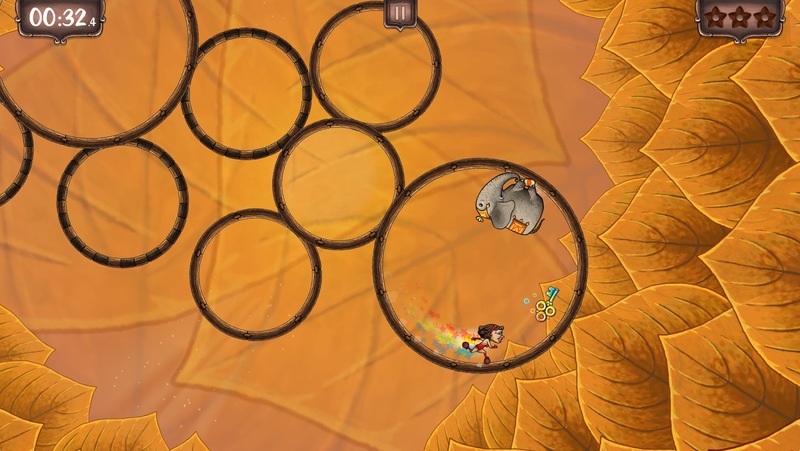 TOUCH SCREEN MECHANICS: Use just two thumbs to control the acrobats, dodge obstacles, change rings, jump and slap but don't expect it to be easy to win. CIRCUS STARS: Watch out for elephants, lions, magicians, monkeys,motor-bike riders, strongmen and more, all under one big tent. VINTAGE ART AND SOUND: Listen to four new songs while being charmed throughout the game's new and magical dream world. SHOW YOUR SKILL: Rewards abound with more than 15 achievements and leaderboards to highlight your perfect scores to friends. 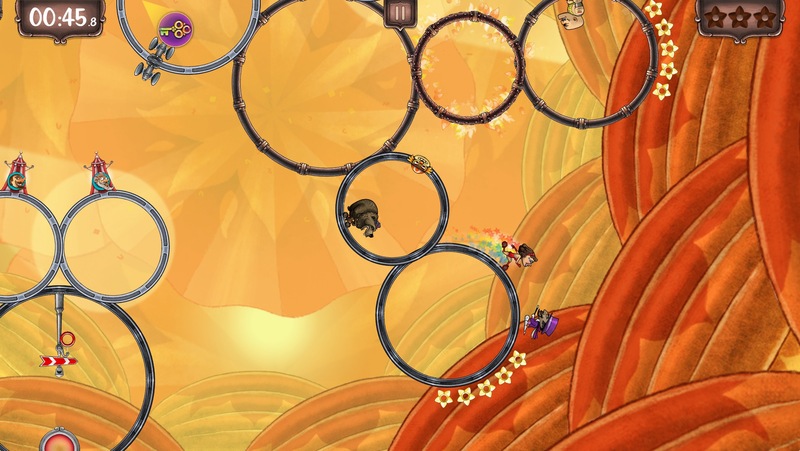 "A charming puzzle-platformer set in a three (hundred) ring circus." "It's time for Ring Run Circus, the world's first 'ringformer'"
"A Closer Look at GDC Mobile's Indie Underdogs"
"You've gotta love a postcard that tries to eat you"
"Best of the Mobile Speed Pitch at GDC"
"GDC 2013: Zoombies, Soccer Rally 2, And Ring Run Circus Shine"
"The top 10 games of ‘Pitch us in one Tweet’ (#4: Ring Run Circus)"
A 1-sheet description of the game: ringrun.com. Press release | Official Launch: ringrun.com. The development process is documented here: blog.kalio.net. Kalio was founded in Montevideo, Uruguay, by four friends with a shared love for technology and making things. Since 2008, mobile games is what keeps us awake at night (besides our kids). More information on Kalio, our logo & relevant media are available here.